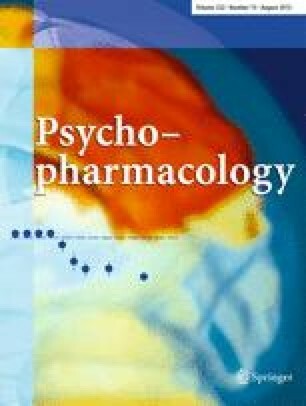 Central modulation of serotonin and dopamine underlies efficacy for a variety of psychiatric therapeutics. ITI-007 is an investigational new drug in development for treatment of schizophrenia, mood disorders, and other neuropsychiatric disorders. The purpose of this study was to determine brain occupancy of ITI-007 at serotonin 5-HT2A receptors, dopamine D2 receptors, and serotonin transporters using positron emission tomography (PET) in 16 healthy volunteers. Carbon-11-MDL100907, carbon-11-raclopride, and carbon-11-3-amino-4-(2-dimethylaminomethyl-phenylsulfanyl)-benzonitrile) (carbon-11-DASB) were used as the radiotracers for imaging 5-HT2A receptors, D2 receptors, and serotonin transporters, respectively. Brain regions of interest were outlined using magnetic resonance tomography (MRT) with cerebellum as the reference region. Binding potentials were estimated by fitting a simplified reference tissue model to the measured tissue-time activity curves. Target occupancy was expressed as percent change in the binding potentials before and after ITI-007 administration. Oral ITI-007 (10–40 mg) was safe and well tolerated. ITI-007 rapidly entered the brain with long-lasting and dose-related occupancy. ITI-007 (10 mg) demonstrated high occupancy (>80 %) of cortical 5-HT2A receptors and low occupancy of striatal D2 receptors (~12 %). D2 receptor occupancy increased with dose and significantly correlated with plasma concentrations (r 2 = 0.68, p = 0.002). ITI-007 (40 mg) resulted in peak occupancy up to 39 % of striatal D2 receptors and 33 % of striatal serotonin transporters. The results provide evidence for a central mechanism of action via dopaminergic and serotonergic pathways for ITI-007 in living human brain and valuable information to aid dose selection for future clinical trials. The authors thank the study team at PAREXEL Early Phase Clinical Unit in Baltimore, MD, especially Syed Faridi and the clinical team at The Johns Hopkins University School of Medicine, including Babar Hussain and Stephen Condouris. The authors also gratefully acknowledge the efforts of Robert F Dannals and his team in the Department of Radiology and Radiological Science at The Johns Hopkins University School of Medicine. The authors also thank Lawrence P Wennogle for his helpful comments on the manuscript. Importantly, the authors thank the volunteers for their participation in the study. The clinical study described in this manuscript was sponsored and funded by Intra-Cellular Therapies, Inc. (ITI). The authors from ITI (RE Davis, KE Vanover, and S Mates) were involved in all aspects of the study, including the original concept and study design, the analysis and interpretation of the data, and the writing and approval of the manuscript. Intra-Cellular Therapies, Inc. (ITI) sponsored this study. K Vanover and S Mates are employees of ITI. R Davis is a paid consultant to ITI. DR Goldwater is an employee of PAREXEL International, and L Gapasin was an employee of PAREXEL International at the time that this study was conducted. DF Wong discloses financial relationships with Intra-Cellular Therapies, Inc., Amgen, Avid, Bristol Myers Squibb, Lilly, Merck, Otsuka, Roche, Sanofi Aventis, and Wyeth. Y Zhou, JR Brašić, MR Guevara, B Bisuna, W Ye, V Raymont, A Kumar, and W Willis have no disclosures. ITI owns or controls the intellectual property that covers ITI-007, the investigational new drug evaluated in this study and described in this manuscript.